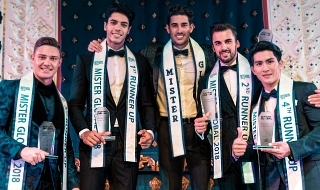 The unique Miss Earth has a different type of criteria (aside of course from the very obvious environment related qualities) of choosing the set of winners and is looking for certain types of beauty to be their semifinalists and winners. It is gravitating towards its preference as their standards. Who are the contestants do you think has the strongest qualities and attributes to make the cut and who do you think might win? I honestly do not understand your point. Miss earth preference versus Asian country do not make sense at all. Geeyourhair wrote: I honestly do not understand your point. 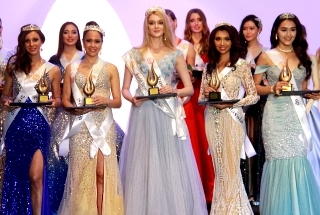 Miss earth preference versus Asian country do not make sense at all. YOUR ANSWER MADE ME LAUGH. I WAS CONFUSED OF WHAT THE TS WANTED TO CONVEY TOO. I BELIEVE, MISS EARTH HAS NO PREFERENCE THAT IS WHY IT IS REALLY HARD FOR SOME FANS TO ACCEPT THE RESULTS. THE PREFERENCE DEPENDS UPON THE JUDGES BASED ON THE CRITERIA MISS EARTH HAS SET. THE SEMI FINALISTS, FINALISTS AND WINNERS ARE SELECTED BY DIFFERENT JUDGES, 3 SETS OF JUDGES IN PRELIMS AND ANOTHER SET IN THE FINAL NIGHT. IT IS VERY RIGOROUS AND I ALWAYS BELIEVE ONLY THE BEST DELEGATES WIN, WHETHER WE AGREE OR NOT WITH THE RESULTS. Last edited by manoypoe on Sat Sep 29, 2018 1:46 pm, edited 1 time in total. This thread is another example of a stupid post from a dumb TS. LAST YEAR PREFERENCE,,, BAKEKANG BUT BRAINY ???? THIS YEAR, GODDESS BUT DUMB ???? HOPING WE CAN WITNESS A TEREZA CROWNING MOMENT AGAIN THIS TIME !!!!! hjackson wrote: LAST YEAR PREFERENCE,,, BAKEKANG BUT BRAINY ???? 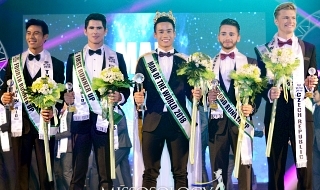 The TS mistook Miss Earth with Miss World (Julia Morley's preference.)! fermnedoza wrote: The TS mistook Miss Earth with Miss World (Julia Morley's preference.)! OUCH. YOU HIT IT RIGHT. WELL, BEAUTY IS IN THE EYES OF BROADMINDED INDIVIDUALS UNLIKE YOU. I think this is true about Vietnam...I know Miss Earth is also after Miss Universe as Vietnam making waves and noise in Miss Universe among fans and analysts yet being ignored by Miss Universe due to something missing while Miss Earth knowing that Vietnam is getting attention among Miss Universe fans but not yet at the mercy and standard of Miss Universe wants to have a Vietnamese girl in the finals but NOT YET still in the same level as that of Miss Universe Vietnam since they Vietnamese rep in Miss Earth are very raw and unpolished more improvements that their Miss Universe counterparts but Miss Earth is so fond of Vietnamese so they have here in the finals cut. Same with T&T they just need to have the perfect time to really find that ideal woman to be as fierce as Kenisha but cannot be able to find it now yet ME is anticipating it so chances are big to make the cut in the finals though the girl is far from the ideal.